Post crossing 300 crore mark at the Indian box office, Salman Khan’s Tiger Zinda Hai has been continuing its steady run at the box office. Successfully dominating its 3rd week at the box office, Tiger Zinda Hai is just a few crores from being Salman Khan’s highest blockbuster. The movie collected 17.61 crores in its 3rd weekend at the box office. Salman Khan & Ali Abbas Zafar’s last outing which ended its lifetime collections at 300.45 crores did 11.09 crores in its 3rd weekend. 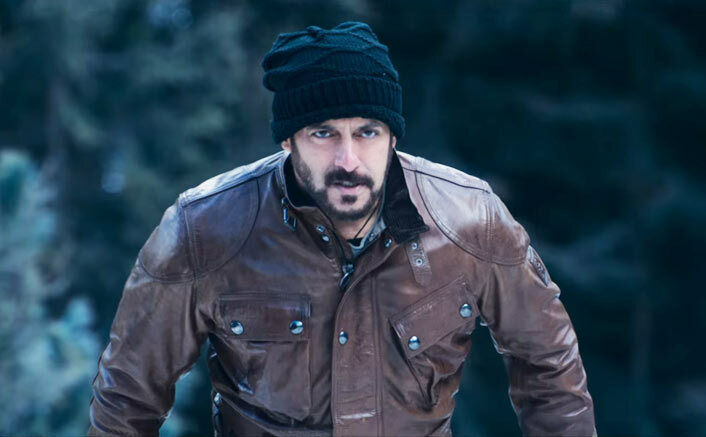 Tiger Zinda Hai, already crossed Sultan and is now on its way to cross the 320 crore mark set by Bajrangi Bhaijaan. The movie has collected 2.72 crores on its 3rd Monday and now stands at the total of 311.88 crores. The movie has also been spreading the same magic at the overseas box office too. Salman Khan and Ali Abbas Zafar’s deadly combo has worked hugely for the second time. After Race 3, Salman Khan also has Bharat with the same director. The film is an official adaptation of 2014 South Korean film Ode to My Father, which depicted modern Korean history from the 1950s to the present day through the life of an ordinary man. Whereas Katrina Kaif is all set to have one of the best years of her career in 2018. She will star in two biggies – Zero opposite Shah Rukh Khan and Thugs Of Hindostan opposite Aamir Khan & Amitabh Bachchan. Tiger Zinda Hai is not settling down at the box office anytime soon. Though there are 3 Bollywood and 2 Hollywood release this Friday, Tiger will retain the major amount of screens. Tiger Zinda Hai, starring the much-loved on-screen pairing of Salman Khan and Katrina Kaif, emerged as one of the highest grossing Hindi films of 2017, coming next only to the Hindi dubbed version of Baahubali 2: The Conclusion. The post Tiger Zinda Hai 3rd Monday Box Office Update: Few Crores More To Become Salman Khan’s Highest Grosser appeared first on Koimoi.